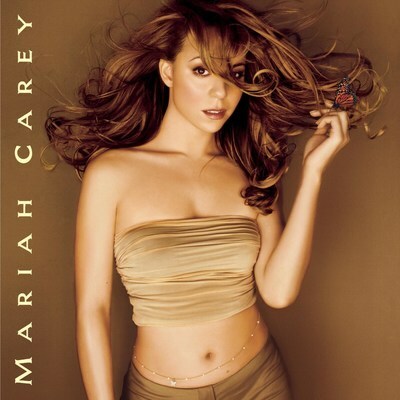 Butterfly premiered 11 new compositions written by Mariah with some of pop music's most illustrious collaborators: "Honey" (produced by Sean "Puffy" Combs for Bad Boy Entertainment, Inc., The Ummah, Stevie J., and Mariah Carey); "Butterfly" (produced and arranged by Mariah Carey and Walter Afanasieff); "My All" (produced and arranged by Mariah Carey and Walter Afanasieff); "The Roof" (produced by Poke and Tone for Track Masters Entertainment, and Mariah Carey); "Fourth of July" (produced and arranged by Mariah Carey and Walter Afanasieff); "Breakdown" (produced by Mariah Carey, Stevie J., and Sean "Puffy" Combs for Bad Boy Entertainment, Inc.); "Babydoll" (produced by Mariah Carey and Cory Rooney); "Close My Eyes" (produced and arranged by Mariah Carey and Walter Afanasieff); "Whenever You Call" (produced and arranged by Mariah Carey and Walter Afanasieff); "Fly Away (Butterfly Reprise)" (co-produced by Mariah Carey and David Morales for Def Mix Productions); and "Outside" (produced and arranged by Mariah Carey and Walter Afanasieff; co-produced by Cory Rooney). The 12th track on Butterfly is Mariah's heart-stopping cover of Prince's "The Beautiful Ones" (from "Purple Rain") recorded as a duet with Dru Hill. Guest artists on Butterfly include Mase & The Lox (on "Honey") and Krayzie Bone and Wish Bone from Bone-Thugs-N-Harmony (on "Breakdown"). Mariah Carey is the best-selling female artist of all time with more than 200 million albums sold to date and 18 Billboard Hot 100 #1 singles (17 self-penned), more than any solo artist in history. Mariah is a singer/song-writer/producer recognized with multiple Grammy Awards, 21 American Music Awards, Billboard's "Artist of the Decade" Award, the World Music Award for "World's Best Selling Female Artist of the Millennium," and BMI's "Icon Award" for her outstanding achievements in songwriting, to name a few – with her distinct five-octave vocal range, prolific songwriting, and producing talent, Mariah is truly the template of the modern pop performance. Mariah's ongoing impact has transcended the music industry to leave an indelible imprint upon the world at large. She made her entrée into the world of independent film with her landmark performance in "WiseGirls" starring alongside Academy Award winner Mira Sorvino and Melora Walters. In 2009, Mariah was recognized with the Breakthrough Performance Award at the Palm Spring International Film Festival for her critically acclaimed role in Lee Daniels' "Precious." Mariah went on to appear in Daniels' stellar ensemble piece "The Butler" (2013).